Naturopathic Doctor Doni Wilson explains how our genetic makeup defines which enzymes need extra support in your body and the role the methylation cycle plays. In the first two parts of this blog series, we explored how genetic mutations (or SNPs) can affect our health and how we go about finding out which SNPs you have as the first step on the road to optimal health. Understanding your genetic mutations (SNPs) will help you identify which processes and enzymes may need support in your body and your metabolism. Once you have this information you’ll be able to design exactly the right support for your body including making the right diet choices, taking the right nutrients and optimizing the way in which you respond to stress, all based on your individual needs. Today I’m going to discuss the enzymatic pathways in the methylation cycle that influence not only the way you feel from day to day but also your risk of disease in the long run. Then, next week, I will share my 8 steps to a healthy methylation cycle. First, before diving into the enzymes, let’s talk about why the methylation cycle is important and how it affects your health. Why is The Methylation Cycle Important? The methylation cycle is important because it takes the nutrients from our food (and supplements) to make the energy our bodies need to work properly. I often refer to it as the “B vitamin Cycle” because this is where the B vitamins (B1, B2, B3, B6, B9, B12) get used in our bodies and why B vitamins are so important for our health. Once through the methylation (B vitamin) cycle, our bodies use methyl-groups to make healthy cells and neurotransmitters (for mood), as well as for removing toxins (in the liver), fighting infections and protecting us from oxidative stress. That’s why we often hear about how important B vitamins are to feeling well and for recovering from stress. When you are stressed, your methylation cycle has more work to do and needs more B vitamins to get that work done. Understanding the methylation cycle starts with thinking of dominos lined up. Just as when the dominos start to fall—each domino toppling the next—when enzymes start processing nutrients, one enzyme affects the next. And just as with dominos, if one is out of line and doesn’t topple onto the next one (or it stops working), it causes a backup that inhibits the enzymes that follow and this, in turn, affects how we feel and how well we function. Research shows that decreased function of the enzymes in the methylation cycle can affect your health and increase your risk of heart disease, cancer, chronic fatigue, mood disorders, diabetes, and aging in general. If you want to read more on this subject you can check out the research studies listed at the end of this article, and refer to the other articles in this blog series. Methylation is important for mitochondrial function and energy production. Low mitochondrial function and low methylation can lead to low energy, low thyroid function, decreased memory, and more. Read more about mitochondria in this article. And methylation influences the production of glutathione, a major antioxidant and protector of your cells. Ultimately methylation affects the ability of your body to make new healthy cells. Enzymes are given nicknames based on the first letter of each of the chemical words in their name. So they are often called by 3 to 5 capital letters, the last of which describes that enzyme’s function. For example, R stands for reductase, and T is for transferase (it transfers a molecule from one substance to another). I don’t want you to have to worry too much about those details. What is more important is to understand how the enzymes relate to one another and where they lead in the end. MTHFR – stands for Methylenetetrahydrofolate reductase. It converts folic acid to methylfolate (5MTHF or B9) using B2. MTR – Methionine Synthase uses methylfolate (folate) and methylcobalamin (B12) to turn homocysteine into methionine. MTRR – Methionine Synthase Reductase creates methylcobalamin (B12) from cobalamin. MAT – creates S-Adenosyl Methionine (SAM) from methionine. BHMT – The backup system (so to speak) in the liver and kidneys that can make methionine from choline and TMG. CBS – Removes homocysteine from the methylation cycle (using B6) and converts it into cysteine and glutathione. How Do These Enzymes Affect Each Other? The methylation pathway starts with MTHFR. MTHFR has one job – to turn folic acid into folate. Folic acid is a man-made nutrient that we get from processed foods that are “fortified” with B vitamins, and from (lower quality) multivitamins and B complex supplements. On the other hand, we can skip the MTHFR enzyme step by eating foods that naturally contain folate, like raw spinach, and by taking vitamins that contain folate (or methyl-folate). Research indicates that at least 45% of people have an MTHFR mutation and they consequently have a decreased ability to turn folic acid into folate (the process doesn’t completely stop; it merely decreases by 40 to 80%). What is the Treatment for MTHFR and Methylation? The best treatment is for you to AVOID folic acid and instead ensure that you are getting an adequate amount of folate, as well as the other B vitamins involved in the methylation cycle. It is extremely important to know that when you start taking (preferably before you start taking) methyl-folate, that you are under the care of a practitioner (like me) who is trained in how to optimize methylation to ensure you are taking the right dosage and that it is having the desired effect. Know your Homocysteine level – this is a blood test that can be done at a regular lab. Know your methylation SNPs – order a 23andme saliva test kit, then when the results are in, give the data to your methylation practitioner who will run it through software that identifies your SNPs. Check your urine sulfur level – your methylation practitioner will be able to guide you on how to do this. Complete a trial of taking hydroxo-B12 for at least 5 days – your methylation practitioner will guide you. Once you have completed these steps, and if your homocysteine level is higher then 7, then your methylation practitioner will guide you to start taking methyl-folate, along with other important B vitamins in the methylation cycle, starting with low dosages. Each person’s body responds differently as the methylation cycle optimizes, so it is important to go slowly so that we can find out how your body will respond and address any adjustments that need to be made. This is how your methylation cycle gets the nutrients it needs to keep you healthy. And it is NOT just about methyl-folate. The next steps in methylation cycle need to be addressed as well. Methyl-folate connects with the next ‘dominos’ in the chain–MTR, MTRR, MAT, BHMT, and finally CBS. MTRR creates methylcobalamin (a form of vitamin B12) and then MTR uses that methylcobalamin, together with methylfolate (the methylfolate we just spoke about), to turn a substance called homocysteine into another, called methionine. Then, in the next step, MAT uses methionine to make yet another crucial substance called SAM or S-Adenosyl Methionine. BHMT is a “shortcut” through the middle of the methylation cycle that allows your body to use choline (such as from eggs, shrimp, poultry, salmon, and leafy greens) instead of folate and B12 to make methionine, which is (again) turned into SAM by MAT. SAM, the end result of this particular domino line, creates a much needed methyl group which is then passed on to other pathways that protect your DNA and cells, and make your neurotransmitters and other important pathways, including energy-production pathways in your mitochondria. So many good things come from the methylation cycle! In the end, SAM turns back into homocysteine so it is ready to go around the cycle again (unlike dominos, in our bodies, the process is continuous). That’s why measuring homocysteine in your blood can be so useful for knowing how well your methylation cycle is working. The final enzyme in this process is called CBS; this acts as the methylation cycles built-in ‘drain’ by removing homocysteine and using it to process ammonia and make glutathione. Glutathione is our most important anti-oxidant, so SNPs on CBS can make for increased oxidative stress and higher ammonia levels, leading to fatigue and achiness. SNPs on CBC can also affect sulfur levels in your body, which is why it is important to check your urine sulfur before starting to address methylation. Where Do We Run Into Trouble? The methylation cycle is super sensitive to stress! When you are emotionally or physically stressed (and your cortisol levels increase), the enzymes slow down and the amount of SAM produced decreases. At the same time, your body needs more SAM to help process the adrenaline produced by stress. This means that right when you are most stressed, you are more likely to feel worse! It is when you are stressed that you have an increased need for the nutrients that help your enzymes work well. So it is important to address your stress. By decreasing exposure to stresses and by helping your body to recover from stress, you’ll be helping your methylation cycle work better and therefore, preventing health issues. The way to help your body recover from stress is to find out how your adrenal glands are functioning and to support them to recover using nutrients, herbs, and what I call “stress remedies.” I find that it is essential to address adrenal distress when addressing methylation. It can seem complex, but it can pay off to address methylation in terms of your short and long term health. I’ve seen it make a difference for my patients, and I want that for you too. Working with a practitioner who understands methylation and how to address it appropriately can make all the difference. For some people methylation can be optimized in a matter of weeks or months. For others it can take years. And when everything falls into place, wow, how exciting and how much of a difference it can make in getting you back to feeling well. If you would like to explore this further you may want to check out my Genetic Profiling Solutions Package here. With this package you’ll meet with me in-person or by phone/Skype to review your case and records. Then I’ll be able to help you with genetic testing and panels to help us know how your body is being affected by mutations so that we can then create a clear plan for you including diet recommendations and supplements. 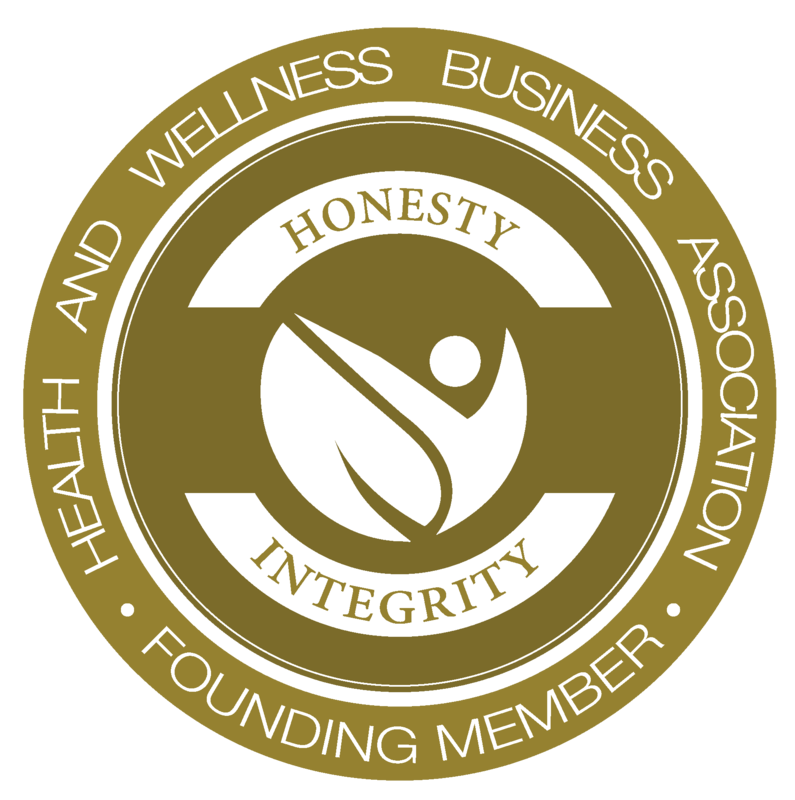 If you are not sure about the whole package, then you can start with a Comprehensive Health Breakthrough initial consultation with me and then we can decide what is needed for your health goals. 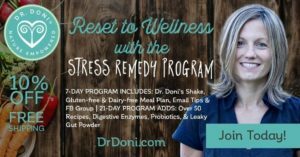 Another option is to start by following the Stress Remedy Program – the 7-day or the 21-day – which include step by step instructions for changing your diet and implementing daily activities that reduce your stress level. They also come with my recommended protein shake. All of this will start optimizing your methylation cycle. Then you’ll be in a better place to start getting into the details with SNPs and nutrients to optimize your health further. To be sure you receive articles from me in the future, you can subscribe to my weekly Wellness Wisdom newsletter, and with it you’ll receive a free ebook called A Guide to Adrenal Recovery. For Practitioners: I’m working to create a practitioner course to teach you how to help your patients optimize methylation and recover from adrenal distress and leaky gut. Sign up to find out when the course is ready here. Lin PT1, Cheng CH, Wei JC, Huang YC. Low plasma pyridoxal 5′-phosphate concentration and MTHFR 677C–>T genotypes are associated with increased risk of hypertension. Int J Vitam Nutr Res. 2008 Jan;78(1):33-40. Qi YH1, Yao LP2, Cui GB3, Liang J1, Shao QJ1, Yan LF3, Du P4. Meta-analysis of MTHFR C677T and A1298C gene polymorphisms: association with the risk of hepatocellular carcinoma. Clin Res Hepatol Gastroenterol. 2014 Apr;38(2):172-80. Sohn KJ1, Jang H, Campan M, Weisenberger DJ, Dickhout J, Wang YC, Cho RC, Yates Z, Lucock M, Chiang EP, Austin RC, Choi SW, Laird PW, Kim YI. The methylenetetrahydrofolate reductase C677T mutation induces cell-specific changes in genomic DNA methylation and uracil misincorporation: a possible molecular basis for the site-specific cancer risk modification. Int J Cancer. 2009 May 1;124(9):1999-2005. Wang LJ1, Lee SY2, Chen SL3, Chang YH4, Chen PS5, Huang SY6, Tzeng NS6, Chen KC5, Lee IH5, Wang TY5, Yang YK5, Lu RB7. A potential interaction between COMT and MTHFR genetic variants in Han Chinese patients with bipolar II disorder. Sci Rep. 2015 Mar 6;5:8813. Schmechel DE1, Edwards CL. Fibromyalgia, mood disorders, and intense creative energy: A1AT polymorphisms are not always silent. Neurotoxicology. 2012 Dec;33(6):1454-72. Gilbody S1, Lewis S, Lightfoot T. Methylenetetrahydrofolate reductase (MTHFR) genetic polymorphisms and psychiatric disorders: a HuGE review. Am J Epidemiol. 2007 Jan 1;165(1):1-13. Epub 2006 Oct 30. Qin X1, Li Y, Yuan H, Xie D, Tang G, Wang B, Wang X, Xu X, Xu X, Hou F. Relationship of MTHFR Gene 677C→T Polymorphism, Homocysteine, and Estimated Glomerular Filtration Rate Levels With the Risk of New-Onset Diabetes. Medicine (Baltimore). 2015 Feb;94(7):e563. I’m happy to help you. If you’d like to arrange a consultation (can be by phone), please visit the make an appointment page. I understand that the RBS’s store 95% of your body’s folate. If one has the dual heterozygous genotype for the MTFR C677T (C/T) and MTHFR A1298C (A/C) and RBC folic acid levels of 1488 ng/ml and serum B12 of >1000pg/ml should that person take a supplemental methylated folate? Are the blood levels elevated due to substrate accumulation from decreased metabolic conversion in other pathways, or can they be increased or normal due to adequate intake nutritionally? (assuming no B12 or folate being taken as a vitamin). With the concern for increased methylation of cancer suppressor genes, should these people add in L-methyl folate or not? Hi Linda, I assume you are referring to RBC folate and serum B12 from a standard lab – in which case I would say that the levels are really not going to help us to know whether you should or shouldn’t take folate. Best is to run a homocysteine level so you get a sense of methylation. Then, when I really want to know a patient’s folate level, I go to a specialty lab that can give us the most accurate information.